Although taking care of your skin on the outside is important, you can also boost your routine by taking care of your skin from the inside since what we put into our bodies can affect our skin’s appearance. Some foods contain vitamins essential for healthy collagen levels, while others can help hydrate our skin from within. We’ve compiled a grocery list for your next trip to the farmer’s market which should help you keep that healthy glow going strong this fall. Not a fan of those dark, puffy bags under your eyes? Well, consider turning to the trusty sweet potato. Rich in vitamins A and E and iron, the nutrients in this delicious veggie are the same ones our body uses to help make skin appear more firm and evened out. Try roasting sweet potatoes instead of boiling them as you may actually retain more vitamins that way. As they say, an apple a day keeps the doctor away! Apples are an antioxidant-rich fruit perfect for anyone on the go. About two-thirds of the antioxidants found in apples are actually in the peel, so feel free to just bite in. These helpful compounds are vital when it comes to anti-aging, as visible sings of aging are brought on by damage from oxidation in our cells. Apples also contain vitamin C, which helps boost the appearance of wrinkled and sagging skin. Eat them raw or cook them up with a little bit of cinnamon — either way is delicious and beneficial. Nothing says fall like a pumpkin! The best part? Both the seed and the flesh of the pumpkin are loaded with nutrients. Crunchy, nutty pumpkin seeds are packed with zinc, which is important in our skin’s renewal process. Oh, and if you have oily skin, you’ll definitely want to keep a bag of pumpkin seeds nearby. Essential fatty acids in the seed help our bodies regulate oil production to keep skin looking balanced and fresh. Another fall favorite, orange variety squashes generally have thick skin, making them suitable for storing over several months. This means you can reap the benefits of this veggie all winter long. Squash is also rich in beta carotene, giving a nice boost to your vitamin A consumption. We talked a little bit about how vitamin A acts as an antioxidant, but did you know it’s also a vitamin needed in the cell turnover process? Cell turnover is the process in which our dead skin cells are shed to prevent dead skin buildup, which keeps our skin from looking dry and scaly. Did we also mention that along with vitamin C (which squash also has), beta carotene is used in our bodies to minimize the visible effects of the sun? It’s a win-win situation here! Remember being told to eat your greens as a kid? Turns out our parents were totally right about that one. Not only does kale add a satisfying crunch to your dish, but it’s also packed with vitamin A, vitamin C, and vitamin K. The super combination of vitamins help retain moisture and act as antioxidants, reducing the visible signs of aging. But our favorite benefit from kale is the detoxification effect. What does this mean for you? A naturally healthy glow. Although we love our fruits and vegetables, it can also be a good idea to add a supplement to your diet. For that extra boost, try YANA Daily Collagen Shots, a liquid supplement formulated specifically for your skin’s health. As we age, we lose collagen which decreases our skin’s elasticity. 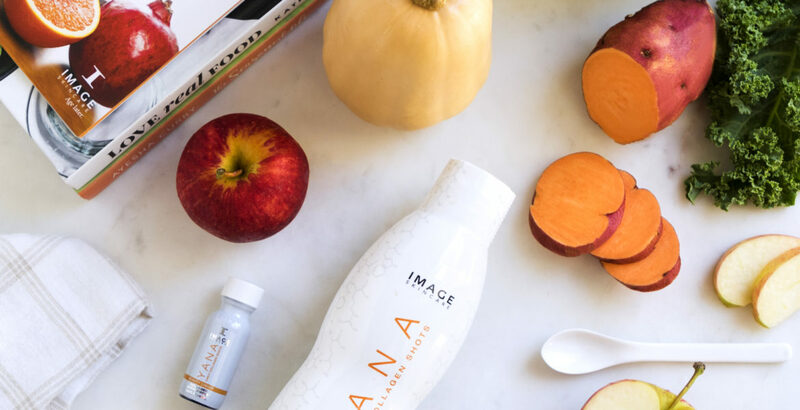 To help our body out, YANA Daily Collagen Shots contain Hydrolyzed Collagen Peptides, which are the peptides our body uses to maintain its appearance of tautness and firmness. We also added biotin, which is often called the beauty vitamin. Biotin helps your skin retain moisture, which is required to keep skin elasticity high. There’s also Vitamin B6 and an antioxidant blend to help reduce the visible signs of aging while nourishing your skin. 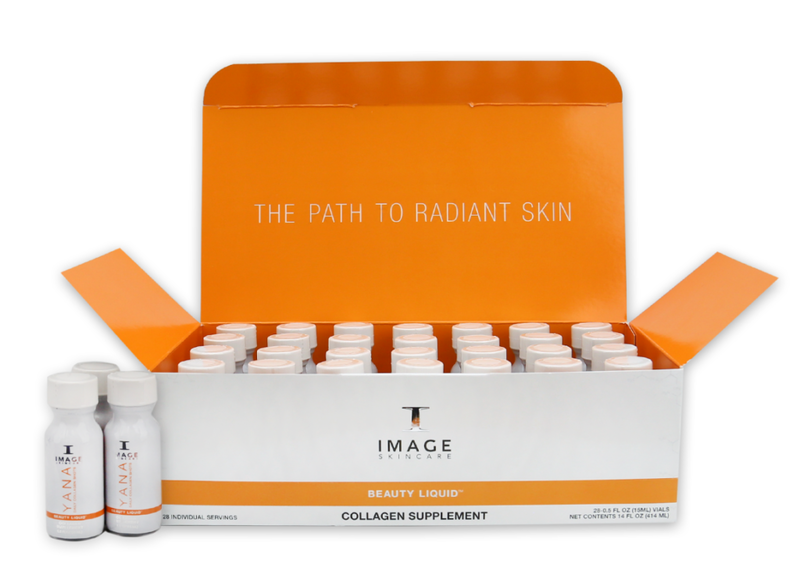 If you find yourself constantly on the go, the collagen shots are available in super convenient, one-serving vials.